As 2010 comes to a close, I thought I’d write my last post of the year about a project that has really moved and inspired me. The project is called Studio H, and is the brainchild of two brilliant designers, Emily Pilloton and Matthew Miller, who have found a new calling as teachers in one of the poorest, most rural counties in my home state of North Carolina. It’s a wonderful story. Two successful designers leave their San Francisco home to move to the poorest county in North Carolina and design a program to help public school kids (over 95% of who qualify for reduced-rate or free lunches) get a shot at a better future. 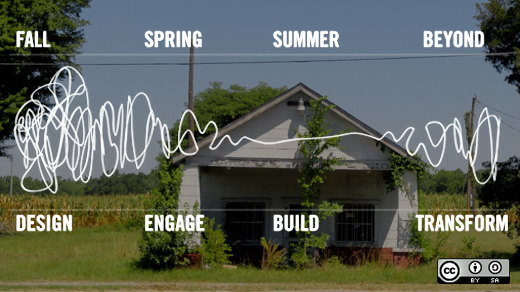 What makes the story particularly compelling is the non-traditional learning approach, utilizing design thinking and some other tools that will be very familiar to those of us who do things the open source way. Watch the TED talk first, which will likely bring anyone but Scrooge himself close to tears, but don’t stop there. This project is not just a theory. Studio H is underway, with the students now well into their second fall project, designing some really amazing chicken coops (chickens are a big part of the Bertie County economy). I particularly love the ChickTopia coop, but you may prefer the compelling geometric design of the Coopus Maximus or the whimsical, industrial-chic Chicken Circus. You can follow the students’ progress on the blog here. The third and final project next spring will be to design and build a public farmers market in downtown Windsor, the county seat of Bertie County, population 2000. If you like what you see so far, consider making a donation. After all, this could be what the future of education might look like. 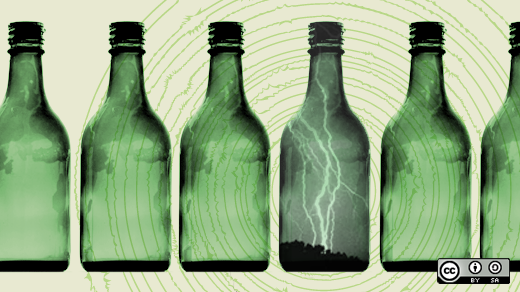 This post originally appeared on opensource.com. Over the years, I’ve picked up an unhealthy understanding of the language of business. Years of sitting in big corporate meetings will do that to you, unfortunately. It’s not just the word that I dislike either, but the entire concept of bucketizing things, which often means taking complex relationships and oversimplifying them in order to fit into broad buckets designed to hold everything except much meaning. 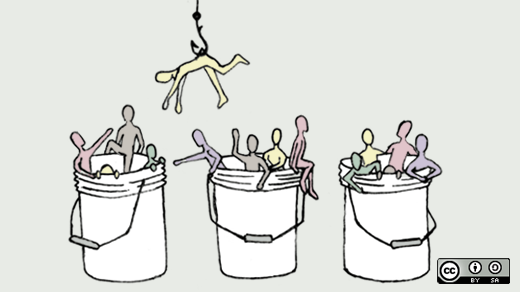 Bucketizing often puts things into silos (another favorite business word), destroying valuable connections between ideas, tasks, or people ending up in, well, different buckets. 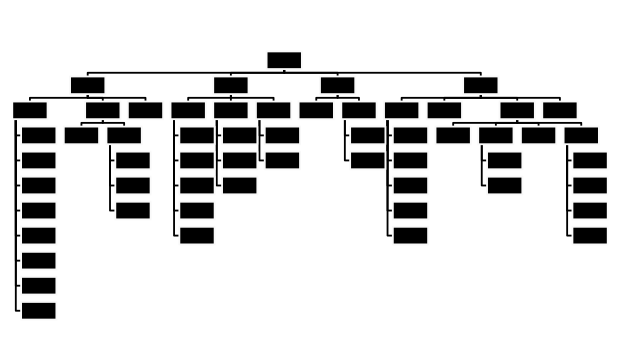 Perhaps the most egregious example of corporate bucketizing for me is the typical corporate org chart, which looks something like this. In most organizations, each person sitting at the executive table has their own employee bucket. As an executive, you are often motivated to fill your bucket with as many people as possible, because the more people you have working for you, the more power you control in the organization. The problem? The org chart is an oversimplified, semi-fictional construct. It rarely represents an accurate view of the complex web of working relationships found within an organization where people in different buckets communicate and work with each other all of the time. Yet, even though it is mostly fiction, the org chart often creates real power for executives to wield.